The screens below comprise the main functions of PageCommander. 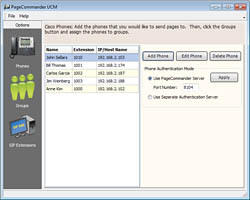 Define the phones that will be paged to and set whether PageCommander will be the authentication server for the phones. 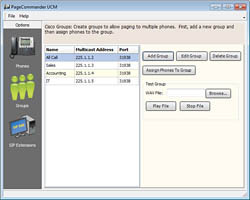 Define the paging groups and assign phones to the paging groups. 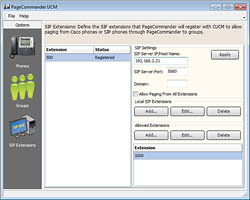 Define the SIP Extension(s) that PageCommander will register to receive audio for paging.